Are you ready to take revenge over the soccer player you like the least? This free online game will give you such an opportunity! Take something heavy and try to smash his head as quickly as possible. Deal more damage to him than your opponent does. Have fun! 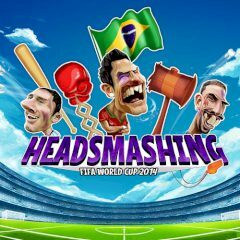 In this free skill game your task is to choose one of three soccer players and... smash his head using some heavy items. Are you ready to take revenge over those bastards? Then this flash action game is created to be played by you and your friends! This masterpiece will bring you hours of fun, especially if you dislike one of the players which are available in this free online arcade game. The only thing left to us is to wish you good luck!